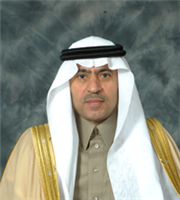 Dr. Ahmed bin Mohammed Al-Salem is the Undersecretary of the Ministry of Interior, Saudi Arabia. In his position, he exhibited love for his country nationals and immigrants. In a congratulatory message to his country on the anniversary of the 83rd National Day of the Kingdom of Saudi Arabia, he said “the memory of the Kingdom National Day is eternal and joyful in the hearts of the Saudi people. It was on this day of the year 1351 H. that the Kingdom was born as a unified entity by the founder King Abdulaziz bin Abdurrahman.”  Al-Salem is loyal to his country and he is committed to the mutual co-existence of the Saudis and its alien populations. In the wake of the tensions between Indian workers and the Saudi authority following the implementation of a new labor policy which made it mandatory for all Saudi companies to reserve 10 percent of jobs for Saudi nationals, Al-Salem assured Indians that he would tackle the issue of illegal Indian workers in the country using a humanitarian approach . Al-Salem’s commitments to the Indians living in Saudi Arabia was put to test yet again after the Saudi passport authorities refused to accept the newly designed Indian passport, because they were not informed about the changes . The Saudi authorities refused to transfer data from the old passport to the new one, beacuse the new passport had photograph on the third page, whereas the old one had the photograph on the second page. However, the issue was resolved after the intervention of Ahmed bin Mohammed Al-Salem. . A special centre was opened by the Saudi passport office to handle the newly designed Indian passports after thousands of Indian expatriates had been stranded. Dr Salem has been the Secretary General of the Arab Interior Minister Council for 9 years. He studied abroad for almost 11 years. He often speaks of the importance of forgiveness: “It is good for anyone to have in his heart love and forgiveness. Islamic beliefs say that we should love all people; we should love each other and we have to live with each other in peace regardless of religion and ethnic background. These are the Islamic laws.”  Salem posits that a person has to have charisma to be a leader, but moreover a leader should have affection in his heart. “For example, people love King Abdallah so much because they know he has a very good heart. He is so popular as no king before him because people can feel his love. People love him because he really does love them back. He can pass any resolution without any problem because people feel his good intentions.”  If more leaders act following principles of love and forgiveness, we would have a better and more peaceful world. “Ministry of Interior Kingdom of Saudi Arabia,” accessed January 31, 2014, http://www.moi.gov.sa/wps/portal/!ut/p/b1/04_SjzQ0sTC0MDU3NDDXj9CPykssy0xPLMnMz0vMAfGjzOJNnQOcPS18jQ3dA0LNDYzczE28nM28LQy8TYAKIoEKDHAARwNC-sP1o_AqMTGGKnB2d_QwMfcxMLDwcTc18HT0CA2yDDQ2NnCEKcDjBj-P_NxU_dyoHEvPLBNFAL3JP8U!/dl4/d5/L2dJQSEvUUt3QS80SmtFL1o2X0dOVlMzR0gzMTBGSUUwSVFJSkozR1YzQ0w2/?WCM_GLOBAL_CONTEXT=/wps/wcm/connect/moi+diwan/moi+home+content/home/news/news+archive/moi_news_22-09-2013a_en. “We Will Help Indian Workers in Saudi Arabia: Vayalar Ravi – Yahoo News India,” accessed January 31, 2014, http://in.news.yahoo.com/help-indian-workers-saudi-arabia-vayalar-ravi-14052234.html. “New Counter in Jeddah for Newly-Designed Indian Passports,” accessed January 31, 2014, http://www.yespunjab.com/national/top-stories/item/23592-new-counter-in-jeddah-for-newly-designed-indian-passports.